Chapters foster the connection between the University and its alumni, parents and friends though meaningful programming outside of Dallas. Join Your Local Chapter Leadership Team: Help plan events and activities for alumni in your city! To inquire about joining your local Chapter Leadership team, fill out the online Volunteer Interest form and choose Chapter Leader as your role of interest. Email smualumnichapters@smu.edu with any questions! 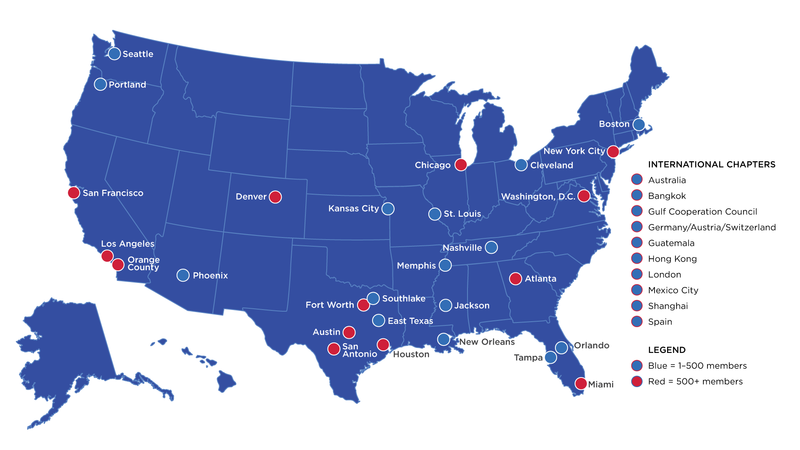 Start a New SMU Alumni Chapter: Don’t see your city listed? Let us know that you would like to start your own Chapter by emailing us at smualumnichapters@smu.edu. Learn more about what it takes to be an SMU Chapter Leader.